United States Wins its Third Concession Cup! With Convincing 23 ½ - 4 ½ Victory over Great Britain & Ireland. Created by supporters of amateur golf, The Concession Cup is an event designed to celebrate the game through international competition while giving back to worthy causes. 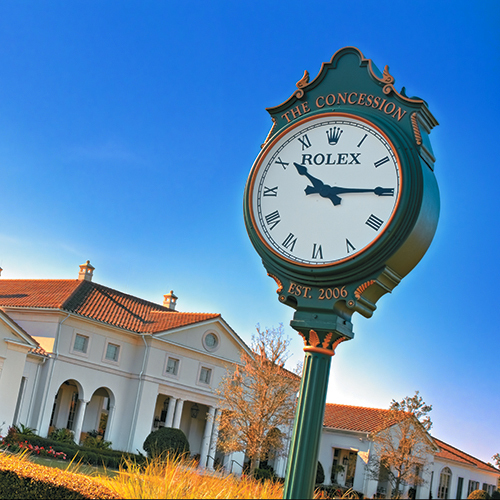 The Concession Cup delivers a world–class experience for its participants, sponsors, volunteers, attendees and members of The Concession Golf Club. Meticulous attention to detail is evident throughout The Concession. From interior design to instruction and maintenance, we strive to provide a full Club experience. Created by supporters of amateur golf, The Concession Cup is an event designed to celebrate the game through international competition while giving back to worthy causes. 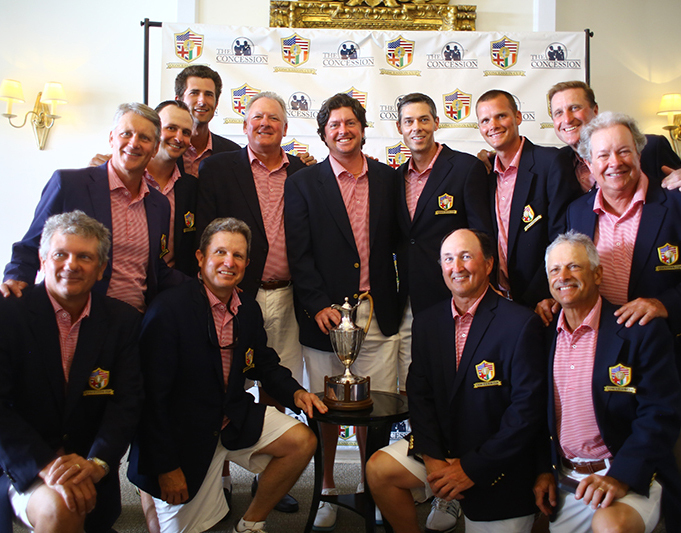 The event is a biennial team competition played between teams comprised of leading male Mid-Amateurs, Senior-Amateurs and Super Senior-Amateurs from the United States and Great Britain and Ireland. Sponsorship Opportunities. Start a new tradition. The Concession Cup delivers a world–class experience for its participants, sponsors, volunteers, attendees and members of The Concession Golf Club while showcasing top amateur golfers from around and the true spirit, character and competitiveness of amateur golf, all for the benefit of charity. 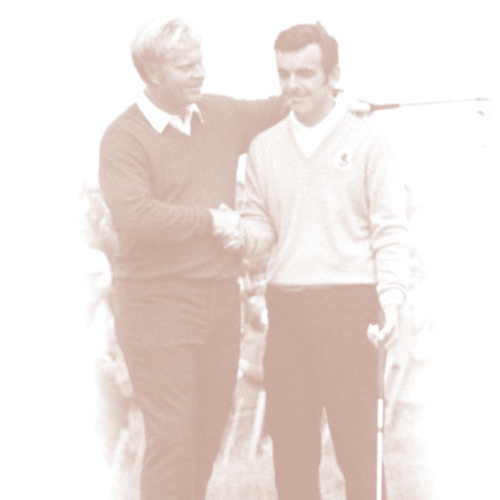 In addition to the focus on amateur golf and worthwhile charities the event will feature a number of the greats in the game, who have come together through the Concession Cup in an effort to support the effort of giving back. The Concession Golf Club. Where tradition begins. 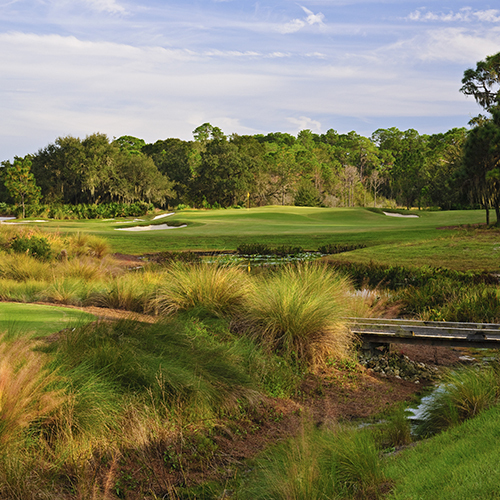 Named "Best New Private Course of 2006" by Golf Digest, the course was designed in honor of the 1969 Ryder Cup where Jack Nicklaus conceded a putt to Tony Jacklin. That gesture, known as "the concession," rendered the two teams in a tie - the first in Ryder Cup history - and became known as one of the greatest acts of sportsmanship ever. Free Admission - Public Welcome! The Concession Cup is open to the public Thursday thru Saturday, APRIL 21 - 23. Join us for this exciting FREE to the public tournament and watch some of the best amateur golfers in the world battle it out in this thrilling match play format.